Shimla is no-doubt the “Queen of Hills” and one of the most well-known tourist destinations in the northern parts of India. Every year the city attracts a huge amount of tourists because of its pleasant climate. The city is full of buildings from the British era build during the late 1800 century. The city is located 2200 meters above the sea level and visiting the place will be no less than a visual treat for nature lovers. The hill station is covered with lush green trees, specially Devdaar and Pine trees. If you are looking for a place where you can spend quality time with your family, you need to visit Shimla. Shimla can be reached by flight, bus and by train as well. However, for all these transportation modes, you need to make the bookings months before your trip. Also, needless to say, that your journey will not be a comfortable one. However, if you plan to travel from Delhi to Shimla by rental car, your journey will surely be very comfortable and a memorable one. With WooCabs, you can book Delhi to Shimla taxi very easily and enjoy your trip. The distance between Delhi and Shimla is 360 km and it takes around 8 to 9 hours to reach Shimla from Delhi by road. However, travel time completely depends on the amount of traffic on a particular day. On your way to Shimla, you can stop for mouth-watering food at Sukhdev Dhaba or Haveli. Sonipat, Panipat, Panchkula and Ambala are some of the major cities that you will cross on your journey to Shimla from Delhi by car. Keep reading to know about the reasons to book a Delhi to Shimla taxi service with WooCabs for your upcoming trip to Shimla. We at WooCabs make sure that we offer the best car rental service at a very affordable rate. We have curated all our packages keeping in mind the travel needs of our customers. We are continuously looking for ways to improve the service offered by us. Our drivers have great knowledge regarding traffic and roads. They are always on time hence your trip will not be delayed at all. We charge zero cancellation fee, we completely understand your need to change or cancel the plan. Booking a car rental service from us involves an easy process. You can either visit our website to book a car or you can download our mobile application for the same purpose. We keep updating our website from time to time and keep introducing various new packages as well. We also launch special packages sometime, hence, make sure that you keep checking our website for availing the best package. When it comes to choosing a car for your upcoming trip to Shimla from Delhi, you will get plenty of options to choose from. Our Delhi to Shimla Car Rental Options contains various types of car. We have a car for a budget traveler, similarly, we have cars for people travelling in groups as well. The below table speaks about the car options that we offer our customers. These are the car options that we offer our customers when they book a Delhi to Shimla one way cab service or a round trip. We at WooCabs offer a wide range of packages for people looking for Delhi to Shimla Travel Packages. We make sure that all our packages are extremely pocket-friendly and accurate for people comfortable journey. 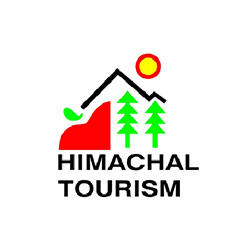 Below we are mentioning the things that make Shimla an ultimate tourist spot. Shimla enjoys snow shower during winters and the view is worth the wait. Nature lovers will enjoy their time at The Ridge. Some of the top places to visit in Shimla includes The Jakhoo Temple and The Mall Road. The local handicrafts of Shimla are worth mentioning, you will find great wooden toys at Lakka Bazaar. The basic for the Delhi to Shimla taxi service provided by us is Rs 9/km. However, there are some other factors as well that affects the total fare that you need to pay for your road trip from Delhi to Shimla with WooCabs. Keep reading to know more. Base fare: The base fare for any road trip remains the same i.e. it is the multiplication of the kilometers travelled with the rate per kilometer set for the cab type. It includes the cost of the fuel and the maintenance charge for a particular trip including the distance covered and time taken. Additional distance travelled: This goes without saying, you need to pay an extra charge for the extra kilometers travelled in addition to a set trip limit. We maintain a very transparent billing policy hence you be paying for what you see for your Delhi to Shimla cab ride. For any other query, please contact our customer service agents. We are available 24*7 and happy to help you.